Sustainability demands are expanding. How are you keeping up? Customers now look beyond price when buying and negotiating. Large corporations – such as your clients – are increasingly under immense pressure from stakeholders to be transparent about their sustainability and CSR practices, and this includes their sustainable procurements. Around 1 in 2 companies rely on 3rd party tools to assist in the CSR evaluation process (HEC Sustainable Procurement Benchmark 2013). … But as companies have started launching internal/homegrown CSR assessment programs, suppliers are now facing a major challenge: multiple, redundant questionnaires from which they receive little feedback nor guidance on improving practices. 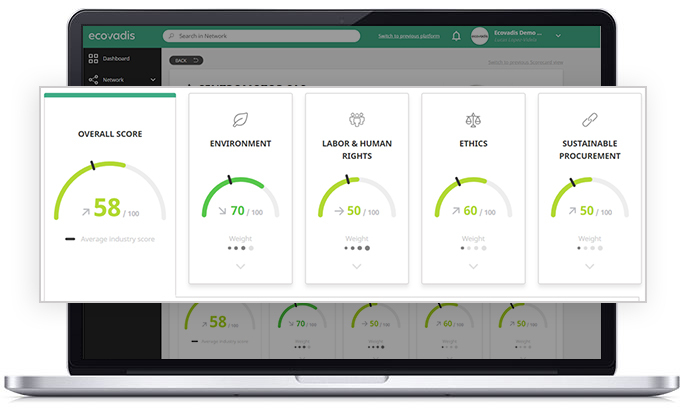 With the EcoVadis CSR Scorecards you can measure and demonstrate your company’s CSR performance on a rich, multi-tiered scale, and share it with multiple clients with maximum credibility, confidentiality and control. You choose who and what to share. With Gold/Silver/Bronze badges and certificates, get the recognition you deserve for good CSR performance. 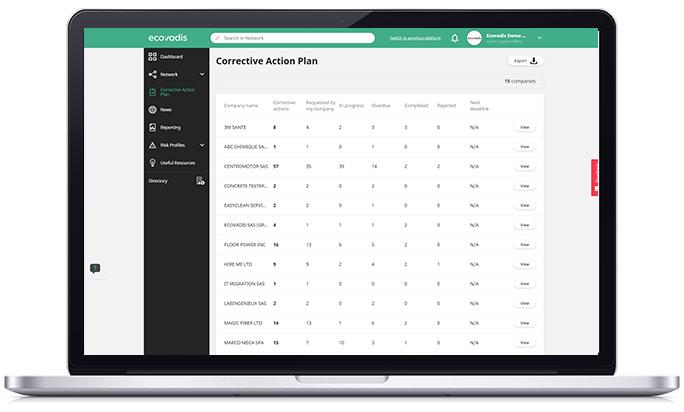 Plus EcoVadis brings the credibility of a robust globally- recognized methodology. A simple 4-step process - entirely online: you will only need an internet connection. Profile used to optimize questionnaire to your size, industry sector, location, etc. Secure, confidential & multi-lingual with a support team ready to help. 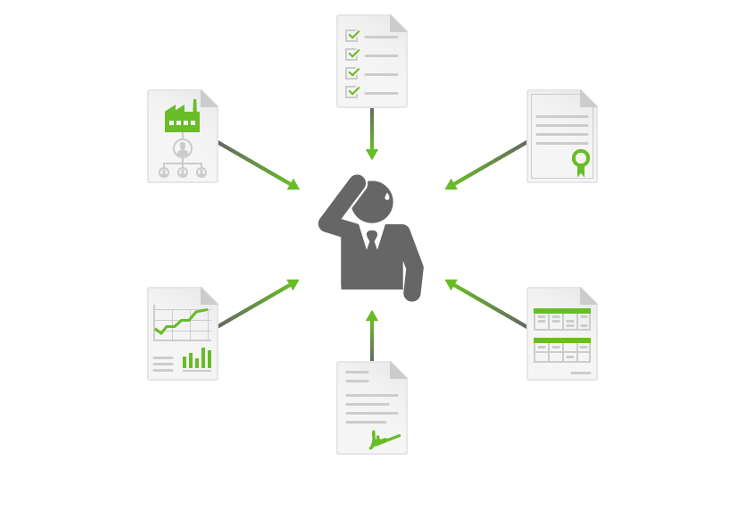 Independent document audit, assessment & analysis from CSR experts. Share results, collaborate directly online with clients, and improve performance. Over 55,000 businesses participate on the EcoVadis network and have received a CSR scorecard. 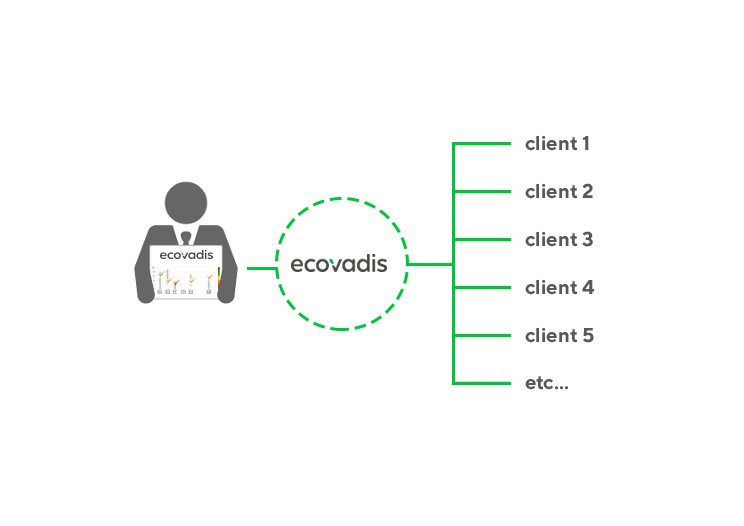 Over 300 large multinationals around the world use the EcoVadis network to both assess their suppliers and discover new suppliers. Easily view your performance on four themes. 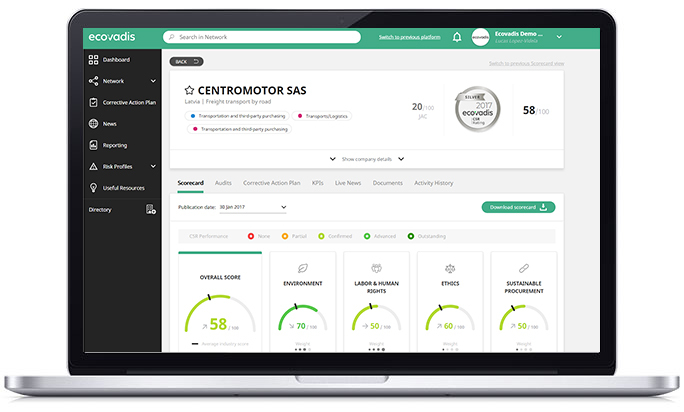 Access an industry profile of best practices to improve performance.